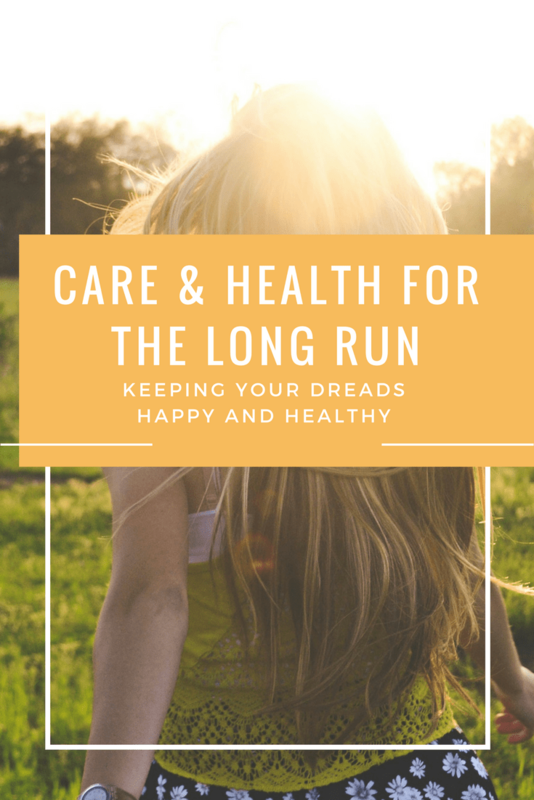 You may have previously seen the beginner’s guide to dread care and maintenance on the blog before, but I think it’s safe to say that even those of us who have had dreads for a while now, a year or more maybe, can also benefit from a reminder about how to properly care for our dreads. A few things can happen when we start getting lazy with our maintenance. We will notice some obvious issues with our scalp. It might get too dry and itchy or greasy and loosen our dreads. Both can happen with poor dread care. You will also see the dreads themselves getting frayed, frizzy, or dirty. These are just a few of the many problems that can occur if we get lazy about taking care of our dreads. As we all go along our dreadlock journey, we get bored, excited, or worried about trying new things. The real truth is that you can try new products if you please but use all of them in moderation. Keep close tabs on how your head and hair react to certain products and plan accordingly. In our opinion, once you find something that works, try not to veer too far from the path, but we understand that you want to style things differently, add more shine, give more shape, and more to your dreads and we won’t stop you. No matter how much you hate the word “moist” it is an absolute essential that is necessary to having, keeping, and maintaining your beautiful dreads over the long run. When the proper moisture is missing, dreads break, fray, frizz, and will actually start to look faded. Hair love moisture! Why do you think it always stands up and reaches for the sky when it rains? Finding good moisturizing products is key but you can also help yourself by avoiding too much product (see tip above), avoiding washing too much, and keeping your natural oils and moisture in your hair by wearing scarves or caps to bed or around the house. Maybe one of the most frustrating things that we deal with as dread heads is dealing with hair that doesn’t follow the rules. Maybe you got dreads in the first place to tame your wild hair and now you are dealing with the same issues. Well, truth is, we all are. Everyone who has dreads has dealt with loose or stray hairs but we must remember one very important aspect and that is that our hair is learning. The first six months to a year are the most crucial in teaching your hair how to knot, behave, and where to lay and honestly, the battle doesn’t end after that first year either. Hair needs to be trained on where it should grow and how it should behave. You can combat these loose ends by working to always focus on roots and new hair growth in your maintenance routine, simply trim off stray hairs if you want, or weave them into a nearby dread with a crochet hook. It’s a task that never really ends and that’s why it’s called maintenance because it’s literally ongoing care. This is one thing most of us tend to forget and forget often. Your hair has been through a lot. It has literally been destroyed, knotted, ripped, torn, and more to reach the final product that is the dreaded style. Your scalp may have been sore a while ago but it’s still a great idea to just massage your scalp. Try to be nice to your dreads and tie them up properly. Take good care of them so they won’t hurt you or break off. Take some time to give your head a little TLC for putting up with you. Dreads are such an awesome way to style your hair and there’s so much to learn and try that will change your look every day, however, if you aren’t continuing the proper maintenance of your hair, it will suffer. It will break, fray, and lack the luster that your locks deserve to have. Take care of your dreads and they will take care of you.